Is one mile a long distance to you? Perhaps, but it's certainly much shorter than 1,000 miles, the distance from Boston to Chicago. Even longer is 7,500 miles, the distance from Hong Kong to LA. It's about 25,000 miles to go around the circumference of the earth, and about 240,000 miles to get to the moon. Are those distances big? What about 95 million miles, the distance from Earth to the Sun? Or 4.5 billion miles, the distance from the Sun to Pluto? It's already difficult to even imagine how big those distances are, yet compared to the width of the entire Milky Way galaxy we've barely gotten started. 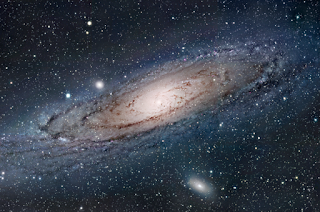 That length is about 100,000 light years, and 1 light year equals about 6 trillion miles. The Milky Way is huge but is still nothing compared to the scale of the whole universe. Now let's come back to Earth and talk about chess. What does "really good" at chess mean to you? 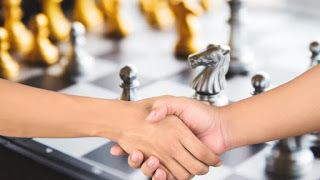 Perhaps for you it means being able to play a whole game without a major blunder, or maybe to be able to play king and pawn endgames perfectly or maybe to be able to quickly calculate basic tactics 2-3 moves ahead. Well, maybe this will somewhat shatter your perspective. I would venture to guess that although people know "GM" is a lot better than "expert", not everybody really recognizes just how astronomically huge the difference in skill is between groups like "club player", "expert", "master", "International Master", and "Grandmaster". 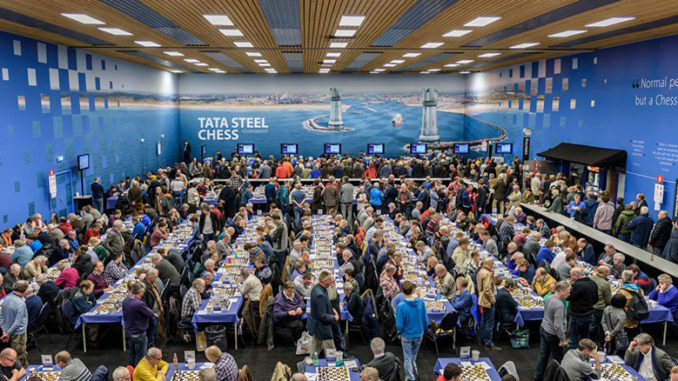 What a typical playing hall of a large tournament looks like. After you've played in enough brutally competitive tournaments and lost to enough GMs (and won some too), you come to realize what "really good" actually means in chess. It's quite a humbling experience. So I'll break things down into rating groups and do my best to convey just how much better a GM is than a club player or a master. 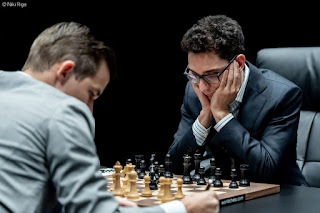 Carlsen-Caruana in their World Championship match, November 2018. Top GMs are really really good. Take Carlsen, Caruana, Nakamura or any other hyper-elite player. These people basically play and study chess for a living. In the weeks leading up to and during a big tournament or match, the world's best easily can spend over 40 hours a week on chess, and you can be sure they have perfected their training schedule to maximize efficiency. You don't get to be top 10 or even top 100 in the world by having chess as a mere side hobby. These people work hard and perhaps most importantly, work smart. They figure out what weaknesses they need to fix and then diligently work on improving them. Sergey Erenburg, seen here giving a simultaneous exhibition, might be a "typical" GM to fall into this category. With a USCF rating of around 2660, he's a very strong player, but not as strong as Carlsen or Caruana. "Average" GMs are still really good, but they're not quite as good as the very best. 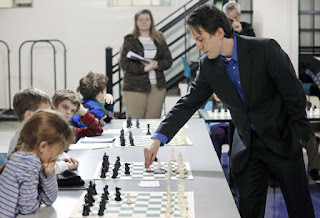 No doubt some of them have real jobs and don't have time to spend 40+ hours a week on chess, but you can also find plenty of GM coaches who teach and write the occasional book for a living (IMs do this too). Now get this: there are only about 1500 people in the entire world who fall into the above two categories - that's roughly 0.1-0.3% of all chess players. 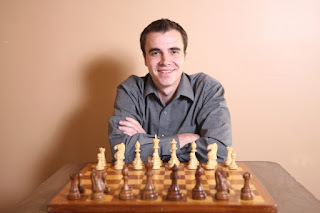 Daniel Rensch (USCF ~2500) is a well-known American International Master. In the grand scheme of things, International Masters (IMs) are good, but compared to the average GM they're real underdogs and many would be almost no match for a very strong GM (2700+). There are plenty of exceptions of course, but as a general rule, GMs tend to beat IMs pretty handily. If you're curious, I probably fit best into this category, as my current USCF rating in the 2450-2500 range is probably too high for the next group down; however, so far I do not have an official IM or GM title. The strongest players in scholastic tournaments are usually talented masters who are still quickly advancing in strength. This group includes FMs and NMs (using the USCF rating system now). Players here will still totally dominate the average club player, but can occasionally punch upwards and knock out an IM or GM. I'll put it this way: GMs sometimes lose to players under 2400, rarely lose to players under 2200, and almost never lose to players under 2000. However, things can go both ways too. It's highly unusual but certainly not unheard of for people even in the 1800-1900 category to upset a master (I most recently lost a game to an under-2000 rated player in January of 2018). This can be an exciting rating range to be in. The jump from 2200 to 2400 is different from the jump between 2000 and 2200. Likewise, making it from 2200 to 2400 by itself does little to prepare you for going from 2400 to 2600, which is truly a giant leap. 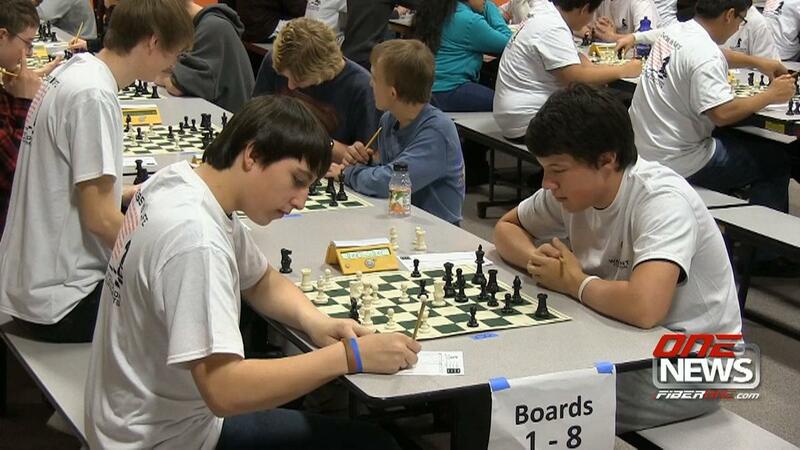 At most chess centers around the US, the strongest players around are usually experts (2000+). Today in the US, a rating of 2000 corresponds to about the 97th percentile. So it's a pretty big accomplishment to be an expert - fewer than 1 in 20 people ever get there. But even so, most experts pale in comparison to even FMs and IMs, who themselves are heavily outmatched by GMs. A 2100 beating a 2600? Practically unheard of, although it has happened. To be clear, a veteran GM in good form would completely trounce an expert in a 20 game match by an obscene margin (19-1 or 20-0) - it would barely even look like a contest. 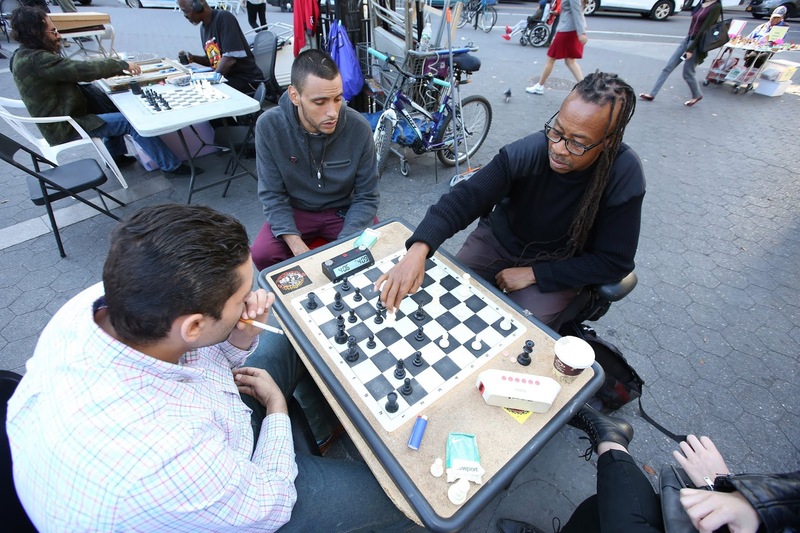 Your garden-variety chess hustler in New York City might be a Class A player or expert. Here we're getting to the Class A (1800-2000) and Class B (1600-1800) categories. Only about 15% of all USCF players have a rating of 1600 and above. 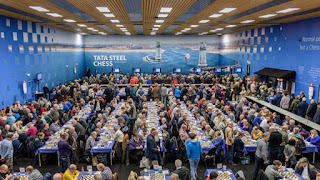 Except for simultaneous exhibitions, most in this category have never actually played a grandmaster in a tournament setting, as they usually compete in U2200/U2000 sections. Although it's uncommon, a 1700 player might occasionally take down an expert by playing a superb game or simply getting lucky. Many in this category simply see chess as an enjoyable hobby and may not be interested in the stressful competitive nature that is tournament life. In the USCF, dead average is somewhere around 1100-1200. A good game in this rating category could simply be one where nobody blunders a piece or pawn. For comparison, two GMs might consider they've played a good game if they had a fierce opening debate over the board where each got to use their many hours' worth of preparation and computer analysis. In the vast majority of cases, games in the 1000-2000 rating category are decided by tactics. We typically see some vague opening and get into a random middlegame, but the specifics are often irrelevant to the final result because usually the game ends when someone overlooks a fork or walks into a skewer, or even just blunders a pawn and then loses from there. In this exciting world, whoever makes the second-to-last mistake usually wins. I say exciting because the unpredictable nature of errors can be part of the fun! You might blunder a bishop in the middlegame, but if your opponent later blunders a queen you could still win. On the other hand between GMs, barring some knockout opening preparation, decisive games tend to be won in the late middlegame or endgame, where either by carelessness or time pressure someone overlooks an important detail and loses. However, it's well-known that many GM-GM games end in draws. 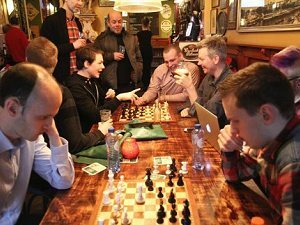 Ergo the phrase "they took a grandmaster draw", used to describe the situation where two GMs sit down, play 10 or 15 moves on the board, and then quickly agree to split the point. Rightly or wrongly, the "grandmaster draw" is widely criticized by lower-rated players. Of course, GMs are not always friendly with each other over the board, especially in a must-win situation. To show their true prowess, they might uncork some insanely awesome opening preparation or ruthlessly grind out an 80-move endgame with near-perfect accuracy. Aronian-Anand, Tata Steel 2013, position after black's 16th move. According to Anand (playing black), he had actually prepared this incredible line for black for his World Championship match with Gelfand in 2012 but didn't get to use it. A year later, he still was able to remember his analysis and Aronian (playing white) was resigning seven moves later. Broadly speaking, grandmasters are simply pragmatists who don't shy away from hard work. They know what their weaknesses are and actively seek to remedy them. 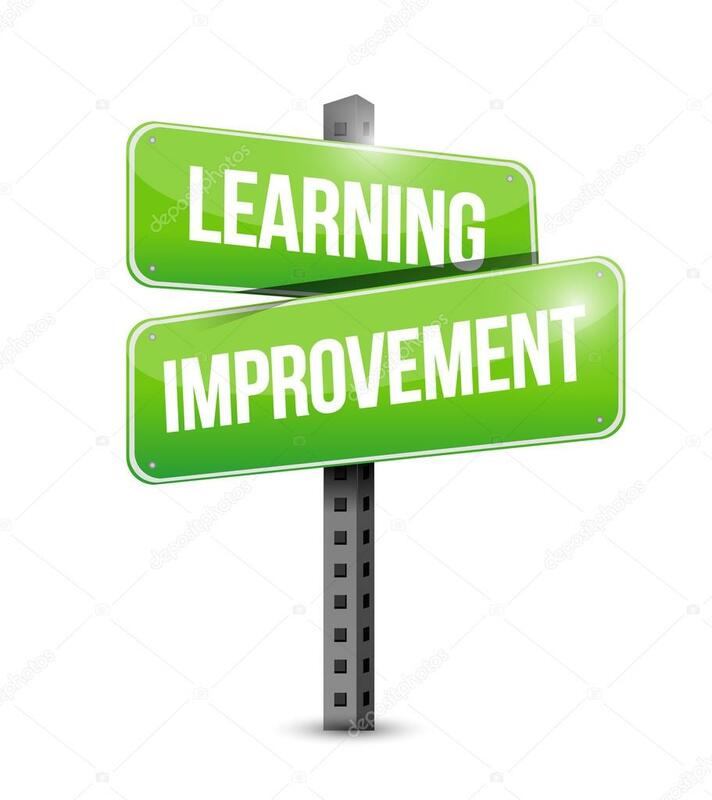 They know how to study chess and how to improve. They learn from their mistakes and do everything they can not to repeat them. 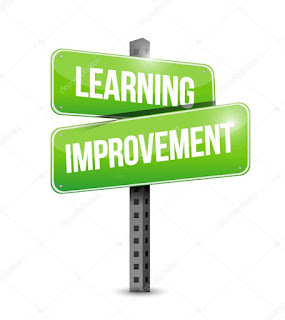 Perhaps contrary to popular belief, grandmasters know they're not perfect and frequently look for ways to improve their understanding of chess. 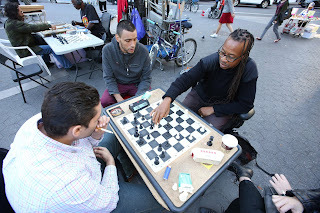 Maybe all of that blew your mind a little, but here's the nice thing about chess: you don't have to be "good" at it to enjoy and benefit from it. From beginner to world champion, playing a game of chess is still a great (and hopefully fun!) workout for your brain regardless of your rating or the final result. That being said, next time I'll share my take on how one improves as a chess player. After all, I was once a rank beginner, but I improved and today am a strong master and state champion. What is that path like? How does it happen? Maybe you're just happy with going from Earth to the moon, or maybe you have big goals and want to go all the way across the galaxy. Regardless, you start at the same place and the journey begins in the same way. USCF statistics - the author of this blog is a former administrator at US Chess Live.